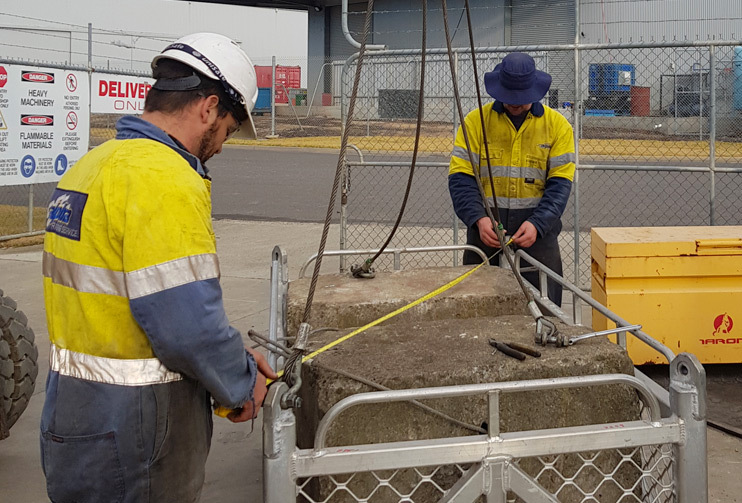 Our business is built around a reliable and accountable team who provide quality advice about products and services to meet your rigging and lifting needs. Alpha Rigging Service Pty Ltd is an independent family company based in Wurruk, Victoria. Our range of rigging and lifting products is extensive and repair services are available for a full range of rigging and lifting gear. All manufactured products are custom made to meet specific customer requirements and comply with Australian or Industry Standards. All inspections and testing completed come with NATA Certification and manufactured items have full traceability of components used. As a client you will deal with the company owners, ensuring quality and high standards are maintained at all times. Being a local company, our clients save on time and transport costs. We are available to our clients 24/7. We offer personalised service and all personnel are required to know the individual needs of our clients. All senior personnel hold qualifications relevant to the industries that we service. We have a proven track record of high quality services in the Offshore and Maritime Industries, which has allowed our survival in a cut throat market. Brayd is the founding Director of Alpha Rigging Service. He started work in the lifting gear industry at the age of 15. Through his previous employer, he was exposed predominantly to the Oil & Gas Industry, which is where his passion lies. D’Arne’s background is financial, having worked in Accounting Firms before becoming an Owner in Alpha Rigging Service back in 2001. She has been with the business for 16 years. Daniel started at Alpha Rigging Service in April 2010. He had been working in Melbourne as a Fitter and Turner for a Specialist Company and was looking to return back to his home town of Sale. Anna has been with Alpha Rigging since November 2010. In that time she has created and nurtured relationships with many clients, and is our “go to” person for any queries or standard pricing. Read more about our products, services and our accreditation and memberships. See our gallery of work with some of our rigging and lifting clients.